Group ActivitiesTeam-build, take five, try something new. Request for ProposalSubmit your event details. And it’s easy to do when you’re surrounded by exceptional natural beauty. Get inspired by the sights and sounds of the sea. Make your presentation run smoothly with our top-notch in-house A/V services. Pitch your idea while putting on the greens of our 9-hole golf course. Unwind at the end of the day at the Sunset Beach Bar. Our island is your oyster. 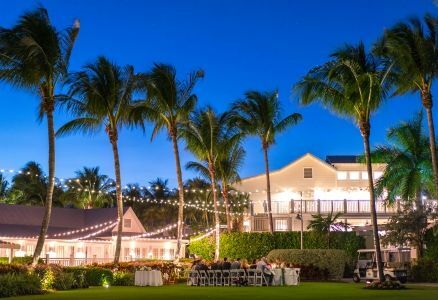 From grand ballroom spaces to outdoor areas to suit your group’s needs, we’ll help you find the ideal venue to collaborate, to celebrate, to create a successful event—all against the brilliant backdrop of Captiva Island. 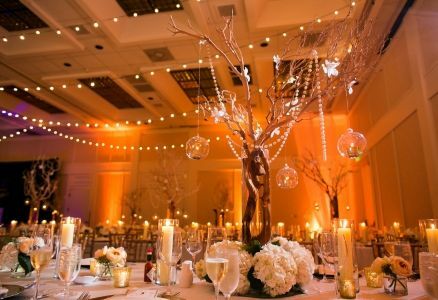 This simple, classic ballroom is a highly flexible venue and is configurable in a variety of combinations. Consists of Salon A, B, and C, as well as the spacious Ballroom Foyer. Accommodating and pliable, the Sanibel Room is configurable based on your needs. The room consists of the Junonia, Murex, and Coquina salons that can partition as required, as well as the Sanibel Foyer. 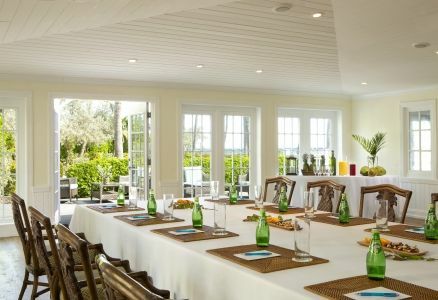 Located adjacent to the Sanibel Room, the boardroom is adjustable based on the requirements of your mid-sized meeting. The boardroom doors exit into the Sanibel Foyer, as well as outside to our South End grounds. The Sea Pearl is a private venue that features state-of-the-art technology to accommodate the needs of your meeting. This room consists of the Conch, Scallop, and Whelk salons—each of which can partition—as well as the Sea Pearl Foyer. Able to accommodate numerous configurations, the Auger comes equipped with built-in A/V technology for your meeting. It also features easy access to the South End grounds and many facilities. Central and adaptable, the Starfish offers multiple configurations that can meet the specific requirements of your meeting. 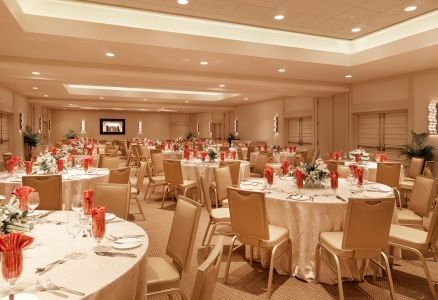 This spacious venue is ideal for receptions, as well as theater-style presentations. With easy access to a top-notch suite of in-house A/V services, the Cone Rooms consist of the Alphabet Cone, Carrot Cone, Florida Cone, and Jasper Cone. These rooms can partition based on your needs. The Sand Dollar Plaza is an ideal venue for an outdoor reception at any time of day. 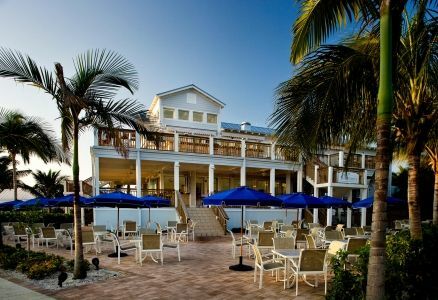 The Sand Dollar Plaza is adjacent to Doc Ford’s Rum Bar & Grille and features plenty of nearby parking for easy access. Adaptability with a view, the Sextant room is configurable for a wide assortment of meetings and events. The Sextant includes two rooms that can partition or break out as you need, as well as the Quarterdeck—an outdoor deck. The King’s Crown is our premier facility and is ideal for indoor and outdoor meetings or events. Classic, yet modern, this configurable space includes the King’s Crown Lawn, King’s Crown Lounge, King’s Crown Dining Room, the President’s Room, the President’s Room Patio, and an adjacent deck. 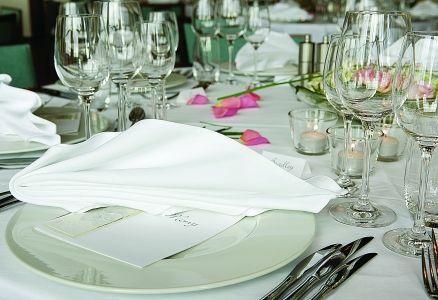 Overlooking Yacht Harbor, the Chart Room is accommodating for a wide variety of mid-size meetings and events. Offering a collaborative environment for teams, the Chart Room comes equipped with modern A/V equipment for your event. 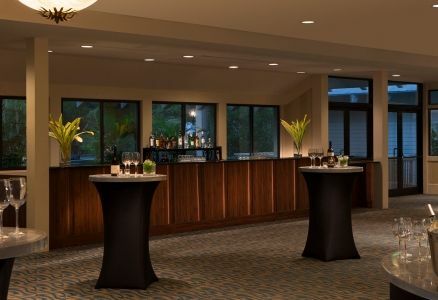 A unique space, the Pointe Overlook is an event and meeting space overlooking the King’s Crown Lawn. Ideal for mid-size theater-style presentations, the Pointe Overlook is both flexible and convenient for your attendees.